You recorded your company’s sales for 2010 in an Excel table and then displayed them graphically in a chart. To make your chart more expressive, you now want to use Excel’s new layout and style templates to modify the chart’s appearance. 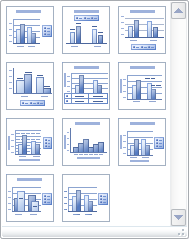 In this learning module “Excel: Creat chart layouts”, , you will be shown how to use the new chart layout and style templates. 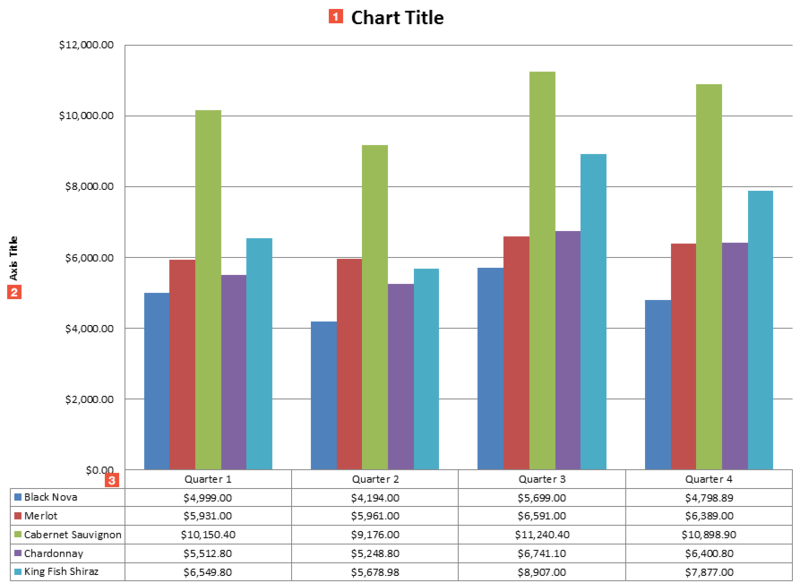 Excel: Creat chart layout and style templates : HOW DOES IT WORK? 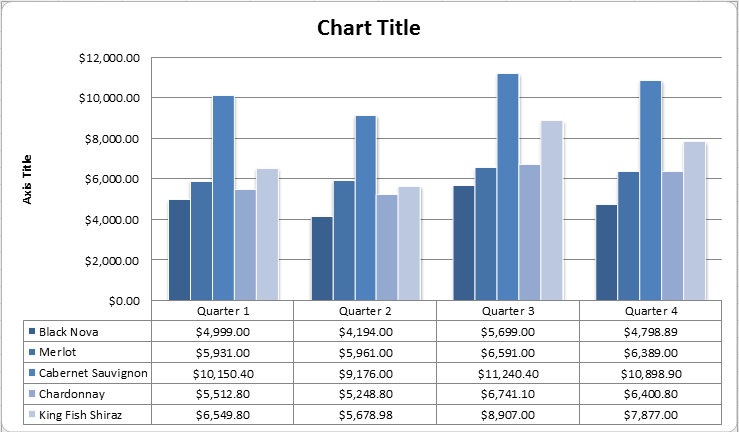 In Excel you can use layout and style templates to effectively alter a chart’s overall appearance. Chart Title: In this placeholder, you can enter a title for the chart. Axis Title: Label the vertical axis by entering your text into this placeholder. Data table: In this particular layout (Layout 5), Excel appends a data table to the chart . To select another style for your chart, click one of the icons in the Chart Styles group or click the More button at the right of the group.